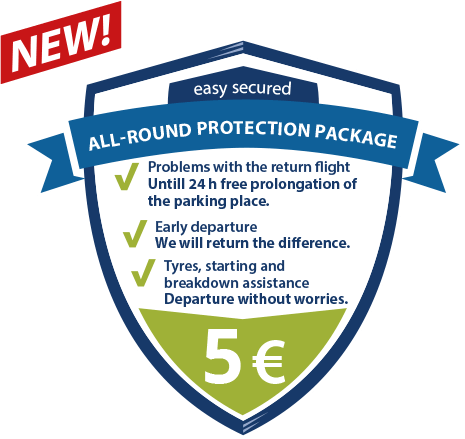 with our Allround Protection Package! additional service that has a great effect. Safed traveling is so easy! and book it in the booking form under additional services. EXPERIENCE YOUR PARKING PLACE. VERY EASILY. ALL COMFORTABLE. IN YOUR INBOX. News & More. The latest from the world of your parking space. Be always up-to-date with the latest news and discount deals. Sign up right away! When it comes to parking at the airport Berlin-Tegel or Schönefeld, direct airport parking isn´t the best alternative. 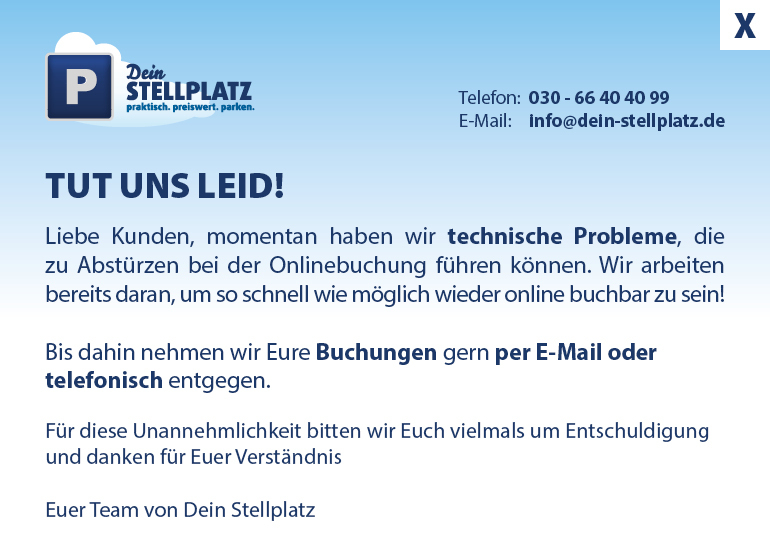 Dein Stellplatz offers with exceptional service and comfort more than just parking.